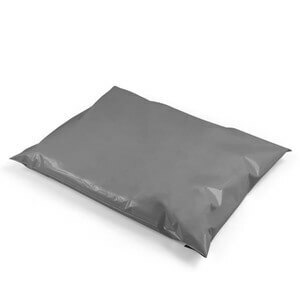 The Carrier Bag Shop range of Grey Recycled Mailing Bags are ideal for all businesses looking to send out small parcels and mail order items. We have 1000's of clients and many eBay and Amazon re-sellers use these for their mailing bags. These Grey Courier Pouches are made from a recycled plastic which means that are a great cost effective option. The seal strip is on the inside lip of the bags and is a permanent seal that will stand the test of couriers or Royal Mail! If you have larger items you can see the large range of sizes here, and if you are looking for a stronger mailer for heavier or better quality items, then take a look at our Co-extruded Mailers. Additionally - we also have a range of Coloured Mailing Bags that you can choose from here if you want something more creative and attractive.